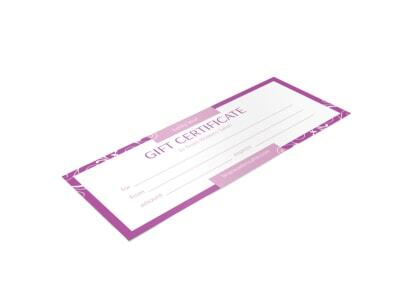 Beauty gift certificates are all the rage and are a great way to increase sales in your salon. 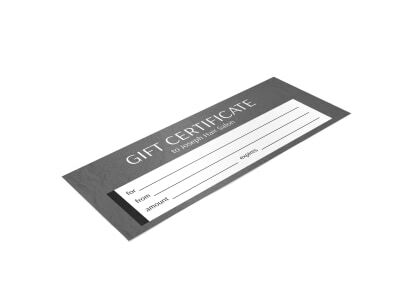 Now your business can get in on the trend when you use our beauty gift certificate templates to customize certificates of your very own. Use our customer-centric editor to customize a certificate that looks great in the recipients’ hands. Add images and graphics, and then upload your logo to expand your brand’s recognition. 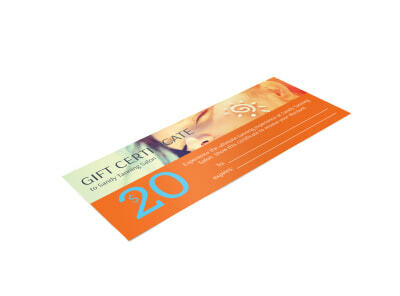 Leave the printing up to us for beautiful CMYK results, or print your certificates on demand from your own office.